In a simpler world, before the Internet and mobile phones, in a small village on a tiny island there’s a girl who has problems. Everyone’s got problems, of course, but not like Renée, and not like Flo. Neither of them have any proper friends, and it looks like they’re not likely to get them. Bullies abound – even in the days before the Internets and Facebooks and sexting. 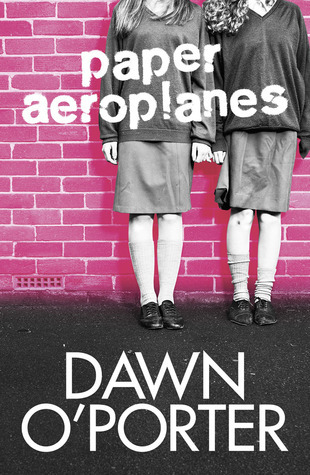 All in all, Paper Aeroplanes is a honest, clear portrait of the life of young people, without any of the varnish adults put on – and it’s a commendable book, plus compelling and well-written.